Digging in the dirt may have more benefits for your health than you think! Gardening has been an American pastime throughout history. The first Thanksgiving took place all because of the help the Pilgrims received from the Native Americans in learning how to grow crops in the new terrain. Fast forward to fast food, convenient pre-processed grocery items, and hectic schedules of today’s society, and it’s easy to see why gardening started to decline over the decades. However, the National Gardening Association recently released a special report, Garden to Table: A 5-Year Look at Food Gardening in America, based on data from 2008-2013 which revealed gardening is again on the rise. They note that Millennials are the fastest growing population of food gardening. 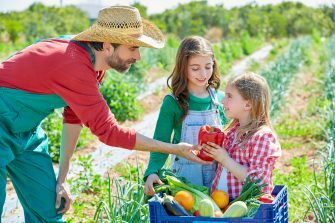 “Young people have begun to champion the connection between growing food, eating well and healthy living,” states the report. 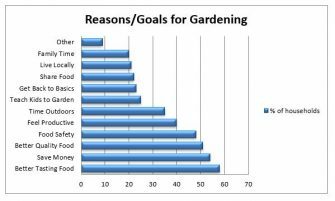 While people had a variety of goals and benefits that motivated them to do food gardening, the basis for most was better food (taste, quality and safety) and financial savings. 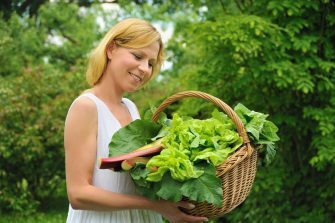 These advantages are great, but there are many more benefits of gardening including some you may not have thought about. Check out these 4 health benefits of gardening that we dug up. We’ve all heard the jokes about how kids avoid certain foods that they hate, and many of us have been guilty of using a few of the common techniques like moving veggies around the plate so it “looked” like there was less, sneaking them onto a sibling’s plate when they weren’t looking and even feeding veggies to a pet. Even though as we get older, we often learn to enjoy some of the foods we avoided in our youth. What about those vegetables that we still have on our “Feed to Fido” list? It turns out that growing your own fruits and vegetables is associated with eating more fruits and vegetables. 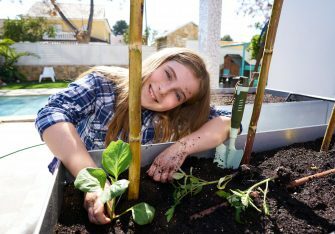 A study recently published in Journal of the Academy of Nutrition and Dietetics revealed that college freshmen who had gardened in childhood or were currently gardening, had a significantly higher intake of fruits and vegetables (F/V) compared to their non-gardening peers. Additionally, the more often the students worked in the garden, the higher their F/V intake was. It’s no surprise with the added F/V intake, that gardeners would have better control over their weight, but it goes beyond just eating an extra salad or spoon of greens. The physical work of gardening promotes building strength, and can help increase dexterity and flexibility. Plus, you burn extra calories while you are doing it. If those numbers aren’t enough for you, there are steps you can take to increase your calorie-burn. Jeff Restuccio, author of Fitness the Dynamic Gardening Way, suggests exaggerating your movements to achieve maximum range of motion, change your stance to work different muscles. An example he gives is in raking, rather than stand with your left foot forward and right hand lowest on the handle, put your left hand lower on the rake. After a few minutes, switch sides. Another option is taking a box or crate to the garden with you. Step up on it between plants or rows for some extra leg work. Together, the added consumption of more fresh fruits and vegetables along with the physical activity can have a profound impact on health. A study evaluating Body Mass Index (BMI) data from community gardeners published in 2012 in the American Journal of Public Health found: “Both women and men community gardeners had significantly lower BMIs than did their neighbors who were not in the community gardening program.” The benefits remained when they compared the gardeners to their non-gardening siblings. Additionally, all that digging, weeding and gardening contributes to an overall active lifestyle. A 2014 study titled, “The importance of non-exercise physical activity for cardiovascular health and longevity,” found that non-exercise physical activity (which can include gardening) is associated with lower risk of an initial cardiovascular event and lower all-cause mortality. Speaking of digging and pulling weeds…. grasping, pulling, releasing, flexion and extension of the hand and forearm… all of these motions contribute to specifically improving strength and muscle coordination in the hands. That strength and dexterity gained carries over to everyday activities like opening bottles, carrying packages, giving a firm handshake and even texting and typing. 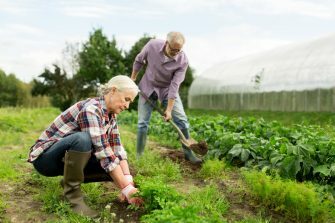 Researchers evaluating older individuals found while alike in other ways, the active gardeners experienced better physical health and hand strength. Further they note that gardening may actually be therapeutic for individuals needing to work on hand function. All this and stronger bones, too? YES! Weight control isn’t the only way gardening can contribute to a healthier life. According to the National Women’s Health Resource Center, weight bearing activities (such as pushing a mower or tiller, pulling weeds, digging holes and carrying bags of fertilizer or other supplies) help protect against osteoporosis. With all these benefits, it’s no wonder that food gardening is again on the rise. Tasty, fresh, whole foods and numerous health benefits make gardening a win-win activity for many people. As is always the case, use caution when starting any new physical activity. 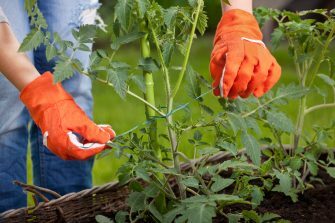 Find gardening safety tips at https://www.tnchiro.com/articles/dont-let-your-back-get-out-of-whack-when-attacking-weeds/. You can also talk to your chiropractor about your gardening plans. They may offer suggestions on posture and ergonomics for your tasks to help you reap the benefits of gardening without causing any new injuries. If you don’t already have a doctor of chiropractic, find a TCA member doctor near you here. NATIONAL GARDENING ASSOCIATION SPECIAL REPORT: Garden to Table: A 5 Year Look at Food Gardening in America Copyright © 2014, National Gardening Association. Loso J, Staub D, Colby SE, Olfert MD, Kattelmann K, Vilaro M, Colee J, Zhou W, Franzen-Castle L, and Mathews AE. “Gardening Experience Is Associated with Increased Fruit and Vegetable Intake among First-Year College Students: A Cross-Sectional Examination”. J Acad Nutr Diet. 2018 Feb; 118(2): 275–283. Published online 2017 Dec 1. Zick CD, Smith KR, Kowaleski-Jones L, Uno C and Merrill BJ. “Harvesting More Than Vegetables: The Potential Weight Control Benefits of Community Gardening”. American Journal of Public Health. 103, no. 6 (June 1, 2013): pp. 1110-1115. Lawrence S; Reviewed by: Chang L. “Get Fit by Gardening”. WebMD Archives, March 12, 2006. Sorgen C. WebMD Weight Loss Clinic-Feature Reviewed by Zelman KM. “Get Fit in the Garden”. WebMD Archives, April 14, 2005. Ekblom-Bak E, Ekblom B, Vikström M, et al. The importance of non-exercise physical activity for cardiovascular health and longevity. Br J Sports Med, 2014;48:233-238. Park S, Shoemaker CA, and Haub MD. Physical and Psychological Health Conditions of Older Adults Classified as Gardeners or Nongardeners. HortScience horts, (2009), 44(1), 206-210. Retrieved Apr 11, 2019: https://journals.ashs.org/view/journals/hortsci/44/1/article-p206.xml.